PT Waskita Beton Precast - Waskita Precast is a rapid growing precast concrete producers in Indonesia under PT Waskita Karya (Persero) Tbk (Waskita Group). Waskita Precast's shareholders are Waskita Group and Waskita Cooperative. Waskita Group, which owns 99.99% of Waskita Precast's issued share capital, is one of the largest state-owned construction companies in Indonesia and is majority owned by the Government of Indonesia. 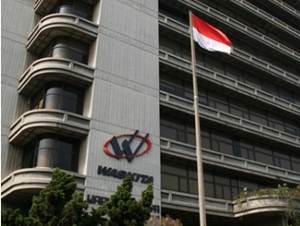 Waskita Cooperative owns 0.01% of Waskita Precast's issued share capital. Waskita Precast operates primarily as a producers of high quality precast concrete products which include preacast building and bridge, preacast retaining wall, preacast drainase, preacast readymix and other preacast products. Waskita Precast was formed on 7 October 2014. Waskita Precast is based in Jakarta and runs its business through 6 plants, 10 batching plants, and 1 stone crusher spread across Indonesia. The Company’s head office is registered at Graha Dirgantara Building, Jl Protokol Halim Perdanakusuma, East Jakarta 13610. In term of financial performance, PT Waskita Beton Precast successfully maintained profitability in 2015. According to Waskita Group Annual Report 2015 as quoted by JobsCDC.com, Waskita Precast reported total asset of Rp 4,332.40 billion in 2015. The Company's total net income in 2015 amounted to Rp 334,36 billion. Fresh graduate, S1 majoring in Marketing Management from reputable university. GPA min. 2.75 (for PTN) and 3.00 (for PTS) within 4.00 scales. Fresh graduate, S1 majoring in Civil Engineering from reputable university. JobsCDC.com now available on android device. Download now on Google Play here. Please be aware of recruitment fraud. The entire stage of this selection process is free of charge. PT Waskita Beton Precast - S1 Fresh Graduate Staff Waskita Group July 2016 will never ask for fees or upfront payments for any purposes during the recruitment process such as transportation and accommodation.